Some programs in this cluster prepare students for occupations dealing with designing, producing, exhibiting, performing, writing, and publishing multimedia content. Other programs in this cluster prepare students for occupations dealing with the design, programming, development, management, maintenance, and operation of computer, information, and data networks, and related hardware and software. 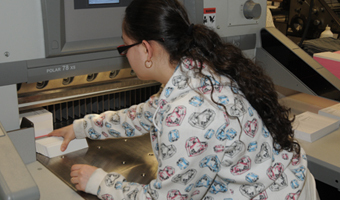 Also included in this cluster is a program that prepares students for occupations dealing with the utilization of the computer and related software to design architectural and machined parts.